Riteish Deshmukh and Genelia D'Souza are one of the cute couple of Bollywood. 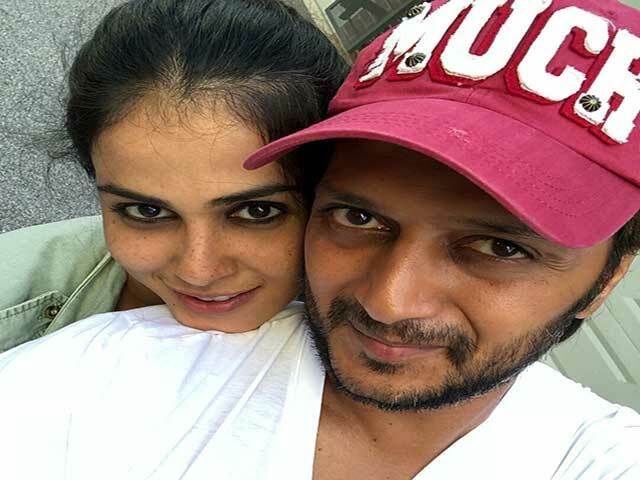 Today, Riteish is celebrating his 40th birthday and on this special occasion, Genelia has given a lovely message to her. Genelia has posted a cute photo on her Instagram, in which she is standing behind Riteish. With this picture, he wrote in the caption, 'Dear Forever, I was 17 years ago, you were celebrated on the sets of the movie Tumhi Meri Kasam. It is still remembered that the Birthday ... the time has passed and in many years I have to crib many of your Birthday Got the chance. Your birthday will always be the most special for me because on this day the world's finest creation came on this earth and that creature is my partner, who has always been with me. I love you and I will not let any opportunity to remind you how much I love you. Happy Birthday. Also Read: Sexiest Asian Men 2018: 10 Asian Celebrities Make it to List. Talking about the work front, Ritesh may soon be seen in the role of a dwarf man in Milap Zaveri's next film 'Marjawan'. Ritesh is seen in the role of Chief Villain in this movie, in which Tara Sutariya, Siddharth Malhotra and Rakul Preet Singh are also in the lead role. Last seen in Riteish Marathi action film 'Mauli', which is released on December 14, his next film 'Mernavana' will be released on October 2 next year.